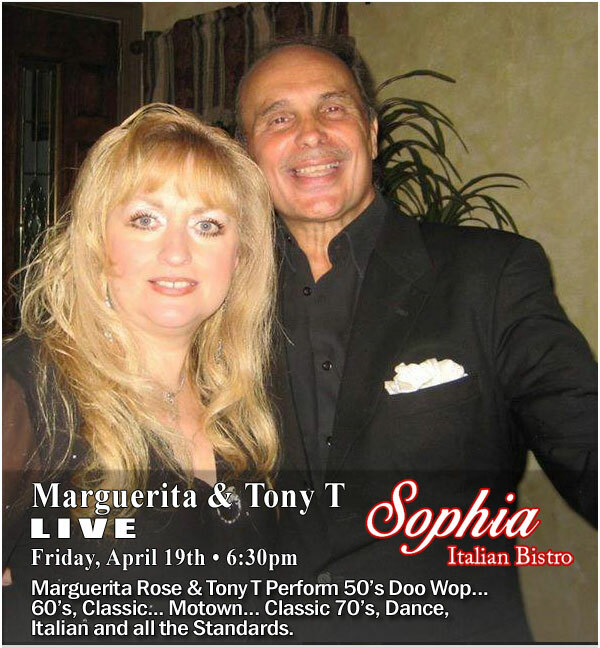 Sophia Italian Bistro Special Events, Live Music and much more. Check back often, as schedules may change without notice. 1 ½lbs Lobster Dinner menu, just $29.95. Complete Steak Dinner, just $32 per person. Sophia Italian Bistro can cater your next event, whether on or off premises. Contact us today at (631) 598-1150, or request catering using our catering request form. Enrique Bermeo having worked at La Mela in Little Italy, NY, Il Mulino in NYC and Luigi Q in Hicksville, Long Island; decided the time was right to open a quality restaurant of his own at the old Villa Avanzo location. Website design & images Copyright © Sophia Italian Bistro, 2015-2019 and beyond. All rights reserved. Long Island Restaurant website design by Andy's Designs.